With rental season starting soon, you may be wondering whether you should be buying or renting an instrument. 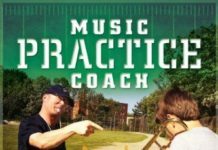 The answer is not simple and usually requires weighing not only the upfront monetary cost, but whether the student will continue playing for years to come or stop three months into starting. 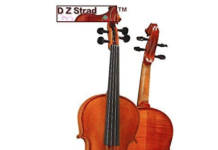 Buying a stringed instrument brand-new is an expensive endeavor since even beginner violins/violas/cellos can cost several hundred dollars and beginner double basses can even be in the thousands. 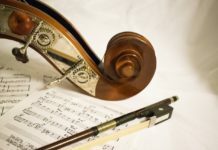 We’ll start our analysis of the problem of whether to rent or buy a stringed instrument with an overview of the typical costs of renting and buying one. 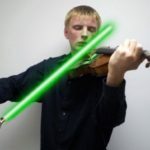 How much does buying a stringed instrument cost? 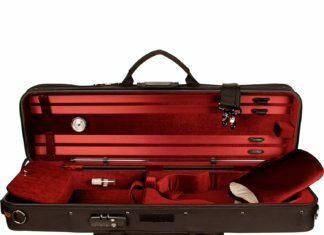 Brand new beginner violin, viola, and cello outfits usually range from ~$200-$500 on Amazon depending on the brand. Used instruments are usually cheaper and can be found in most local music shops or on eBay. In addition, local music shops can often be negotiated with since they usually buy in bulk and are looking to get rid of inventory. The main benefit of buying a stringed instrument instead of renting it is that it generally retains its value throughout its life which makes trading it in for a larger size or higher quality instrument very viable. That’s a total value of about $400-500 and since you can buy some beginner cello sets for $200-300, you’re getting an additional $100-200 in value. In general, it’s best to buy an entire cello outfit since the individual components could easily end up costing double to price of the outfit package. 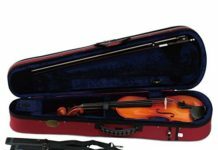 How much does renting a stringed instrument cost? The other option you have to get a stringed instrument is to rent it. Generally, this is done through a local music shop and you pay a monthly rental fee. We’ll use cellos again as a reference. The music shop I used to work at charges $10-$20 per month for used cellos and $18-$25 for new cellos. Since you do not own the instrument, music shops will often tack on a nominal insurance fee ($4.50 a month for my music shop) to protect against any damage to the instrument. It’s important to note that this fee does not cover expendable items such as strings or accessories. The most important benefit of renting a stringed instrument is that you don’t own the instrument, so if it’s damaged or your student wants to quit, you can just return it to the music store. No need to pay a repair bill or find a buyer. Let’s assume your student decides to play the cello for one year and you choose to rent a new cello for $35/month. At the end of the year, you’ll have spent $474 (12 months x ($4.5 insurance +$35 monthly rental fee)). 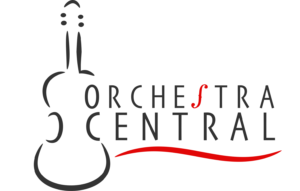 You now have $420 in rental credits from your music shop to use towards a new cello of equal or greater value. However, if your student no longer wishes to play cello, you have just spent $474 that cannot be recouped. Now let’s assume your student decides to play the cello for one year and you choose to buy a new cello from Amazon. Let’s say you pay $200 up-front for the instrument and buy a $15 two-year protection plan. You’d end up spending $215, but you’d own the instrument and have the same protection as a rental. In addition, you’d have an instrument worth about $190 (assuming the value decreased slightly over the year because of slight damage) which could be traded-in for a better one or sell back or $190 if no longer interested. Clearly the “buying” option is cheaper in this case, but how does it stack up to trade-in and resale values after one year of playing? 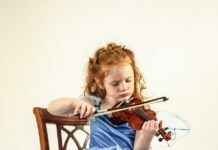 Deciding whether to buying or renting an instrument can be challenging, especially if you aren’t sure whether the student will continue playing after the first year. 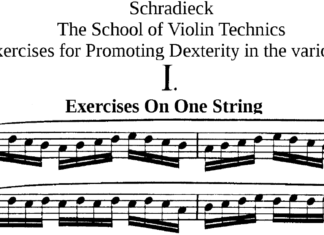 Since stringed instruments rarely depreciate in value, buying rather than renting the instrument generally makes more sense in most cases since even if the student decides not to continue, you can always sell the stringed instrument for almost full value. 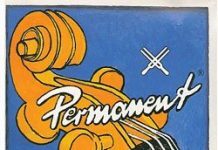 Choosing to rent or buy a stringed instrument is a personal decision and we hope that this guide will help you with your decision.